You can’t win with a gay audience. Whenever a gay-themed movie or TV show comes along that’s given a higher profile/mainstream release, it ends up generating controversy. The problem seems to be that their rarity mean people want these releases to be all things to all men (or at least reflect their personal conception of what gay entertainment should), but often course one film/show can’t represent everything. 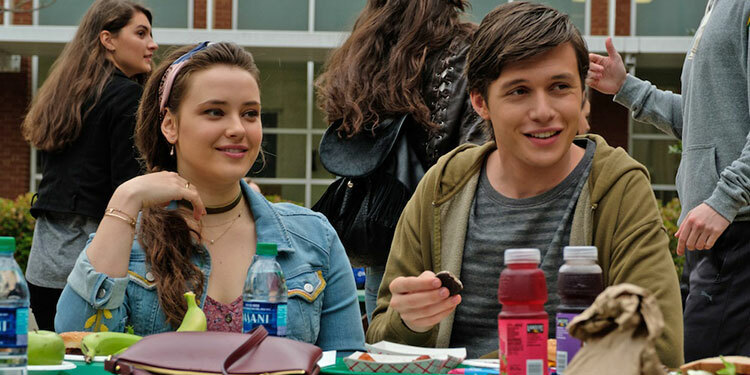 Last week we posted a new US trailer for Love, Simon, giving us a fresh look at a rare mainstream teen movie about a gay character. Now the UK trailer has been released, which features even more new footage from the film. In mainstream movies, the only films that get gay lead characters tend to be prestige dramas that are attempting to get Oscars. 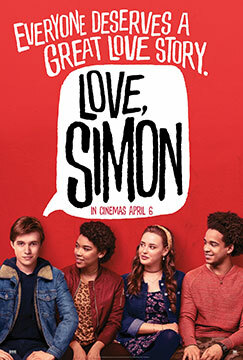 However, Love Simon is something a bit special, as it’s a teen coming of age movie that’s getting a release by 20th Century Fox (and was made under their Fox 2000 banner), and happens to be about a young gay man. The first proper trailer for the movie has arrived, which comes from director Greg Berlanti (the man behind TV’s Arrow-verse). Greg Berlanti’s planned gay-themed young adult movie, Simon vs. the Homo Sapiens, continues to come together. The film already has Jurassic World’s Nick Robinson attached to star, and now he has company, with THR reporting that Scouts Guide to the Zombie Apocalypse’s Logan Miller has joined the film. Robinson will play Simon, while Miller will be his blackmailer, Martin. Isaac Aptaker and Elizabeth Berger wrote the script for the movie, although it’s not clear when it might shoot. The likelihood is that with Berlanti still busy on his DC TV series, it will begin lensing once the latest seasons of Arrow, Flash, Legends Of Tomorrow and Supergirl have wrapped in the Spring. It seems like out producer/director Greg Berlanti may be moving away from being so actively involved in TV’s Arrow-verse (as well as producing Life As We Know It and the upcoming Riverdale – he’s a really, really busy man) and back towards the movie world. He’s already putting together Simon Vs. the Homo Sapiens Agenda, which we reported yesterday has Jurassic World’s Nick Robinson attached to star, and now he’s got another movie in development, a new version of Little Shop Of Horror. The film will be a musical, presumably using the classic songs by Howard Ashman and Alan Menken from their 1982 stage version, which became a movie starring Rick Moranis. (Oddly though, the Deadline story that first reported the news doesn’t 100% specify it’ll be the Menken/Askman music). Little Shop started out as a low budget 1960 Roger Corman b-movie, about a young man who comes across an unusual plant. However, it turns out the plant is carnivorous and wants human flesh, and so the man begins to kill to feed it. He gains fame for his emornos flora, but has to murder to get it. The 1980s musical added plenty of great 50s style tune, with the plant gaining a wisecracking, mischievous voice, courtesy of Levi Stubbs. Matthew Robinson is writing the script for the movie, although there’s no info on when we might see it. Although the 80s version is brilliant and even now has special effects that are truly astonishing, it’ll be interesting to see what a new version might be like. Quite a few people have commented that while Arrow-verse producer Greg Berlanti is openly gay, his superhero TV shows haven’t dealt with all that many LGBT characters or issues. While it’s been promised there will be more representation in the upcoming seasons – particularly with The Flash, which will be getting a gay character – it turns out Berlanti is planning on bringing a gay-themed movie to the big screen. Some will undoubtedly roll their eyes that its ‘yet another’ coming out drama, but if handled well it could be a lot of fun. It should also be noted that Hollywood still rarely touches gay-themed topics, especially those that aren’t grown-up dramas, so it’s certainly good that one of the major studios’ indie arms, Fox 2000, is hoping to bring this young adult tale to the big screen.